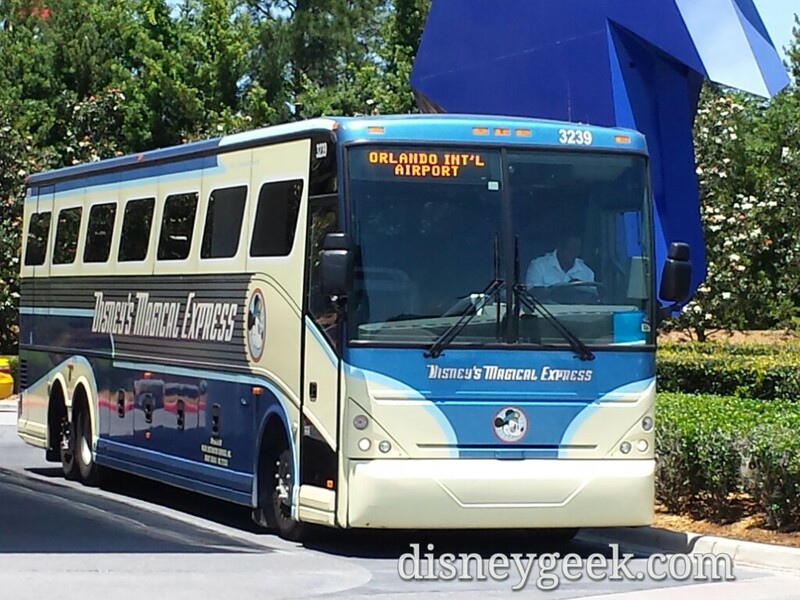 Disney’s Magical Express Bus – One of the last sights to see on this WDW trip.. Started off my last morning packing up and checking out. Dropped the suitcases at the airline checkin and then the carry ons with bell services. Grabbed a quick bite to eat and then hopped on a bus to the Animal Kingdom. Encountered an extremely slow security line before entering the park. Wandered through the Oasis and onto Discovery Island. Continued on to Harambe and used a FastPass+ for the Kilimanjaro Safari. Once back walked through Pangani Forest and then along the trail to Asia. Stopped by the Jungle Trek and then decided to grab an early lunch in Dinoland. 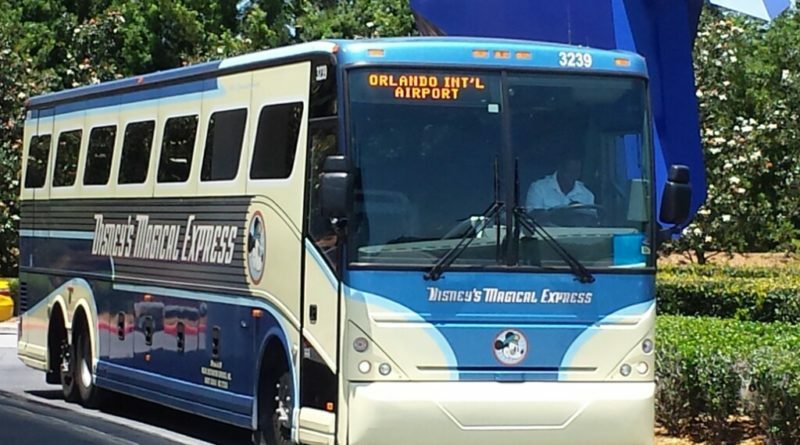 After lunch made my way to the park exit and hopped on a bus to the Magic Kingdom. Decided we did not have enough time to go inside so opted to take the ferry boat across the Seven Seas Lagoon to the Transportation and Ticket Center then one last trip on the Epcot Monorail. At Epcot boarded a bus back to Pop Century and picked up our carryons and waited for the Magical Express bus to head back to the airport and home. 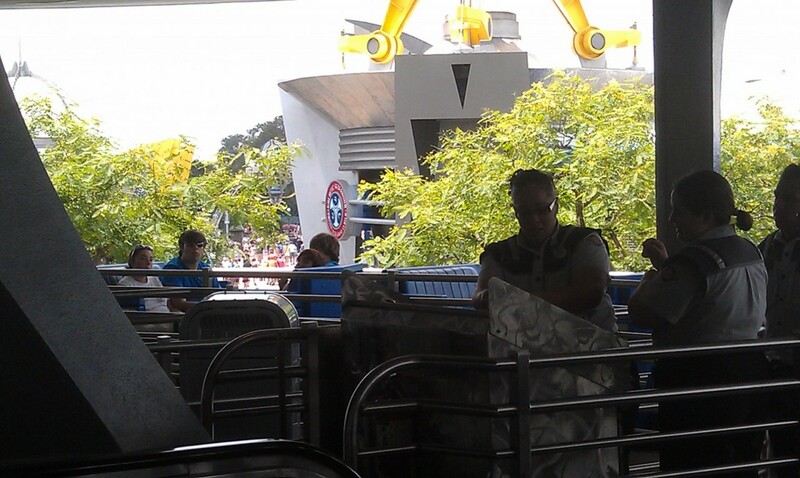 The People Mover has stopped and the CMs are heading out on the track.